To celebrate the 80th birthday of the women’s educator society Delta Kappa Gamma, members reached into history to bring back a popular children’s author. 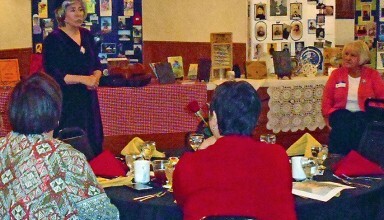 Laura Ingalls Wilder, writer of the Little House on the Prairie book series, was brought to life in a program Saturday morning at the Kenton Elks. 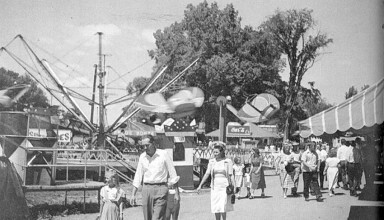 RUSSELLS POINT — Roller coasters, beach parties and summer riots are all a part of the history of Indian Lake and a professor from Kansas has shared his collection of pictures of the lake's history in a new book. "Indian Lake" is a collection of postcards with texts written by Cornelis van der Veen through Arcadia Publishing and The History Press. It is scheduled to be released on April 22. 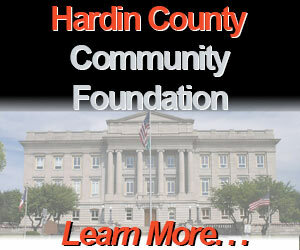 Hardin County Prosecutor Brad Bailey encouraged the county commissioners to stay true to the core agreement established by between Hardin and Marion counties when they established the Multi-County Jail. He reviewed the history of the facility and pointed out when the original plans were being considered, the state had offered federal dollars as an incentive to build new jail facilities. MOUNT VICTORY — With areas of Mount Victory plagued by flooding and a storm sewer fund not yet equipped to handle the expense of needed repairs, a project assessment is likely in the village’s future. Thursday’s monthly council meeting was full of residents residing in the 400 and 500 block of E. Marion Street who were there to make council aware of the flooding issues they face each time there’s a rain. FOREST — A crowing rooster is interrupting the sleep patterns of some Forest residents. Solicitor Jason Miller told council at its meeting on Thursday that he had promised a village resident to bring the concern up at the meeting. COLUMBUS – Hardin County Commissioner Roger Crowe attended the 2019 Ohio Council of County Officials (OCCO) Legislative Reception to meet with state legislators and help build a stronger partnership between state and county government. A Kenton man was sent to prison for a year after he was found guilty of escape charges. According to court records from Prosecutor Brad Bailey's office, Jason Scott Hurley, last known address, 213 S. Market St., Kenton, was on post release control from an earlier case and failed to report on more than one occasion for meetings with his Adult Parole Authority officer. DOLA — Hardin Northern athletes will be competing on a new track next spring. The HN school board, at its meeting Wednesday night, approved a bid for construction a new 8-lane track with bleachers and a press box, along with a concession stand and restrooms. 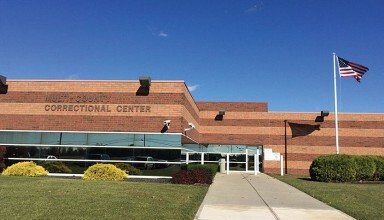 In recent years, finding available space for prisoners has been increasingly hard at the Multi-County Correctional Center in Marion. 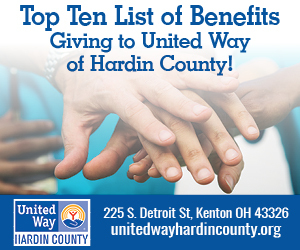 But while the crowded conditions are a concern for Hardin County officials, they are more of at an urgent level for their Marion County partners. The Kenton Medical Center is expanding its services in Hardin County to better fit the needs of women. 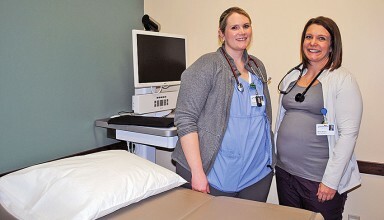 The center, located at 1211 E. Columbus Street, has offered family practice and walk-in services since it opened its Kenton urgent care office.